On May 13, Algerian Embassy in cooperation with artist Nguyen Minh Son and Algerian Ministry of Culture held the opening ceremony of the first Vietnamese painting exhibition in Algeria. This is one of the activities organized within the framework of cooperation, exchange and cultural exchange between Vietnam and Algeria. Speaking at the opening ceremony, Ambassador Pham Quoc Tru emphasized that this was the first time that the Vietnamese Embassy in Algeria coordinated with the Ministry of Foreign Affairs and the Ministry of Culture of Algeria to organize an exhibition of paintings by Vietnamese artists. The purpose of the exhibition is to introduce to the public about Vietnamese painting, especially contemporary painting. 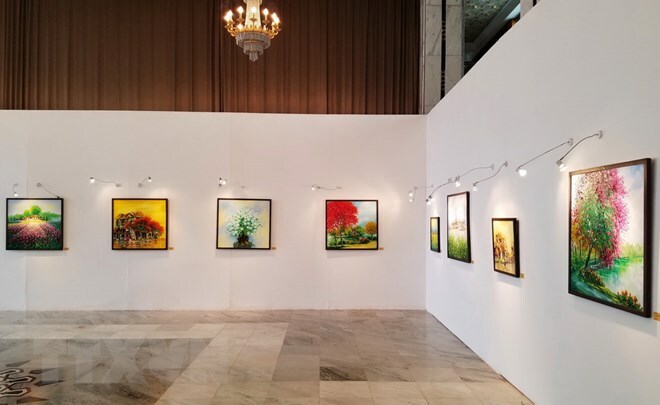 Painter Nguyen Minh Son comes to this painting exhibition with many oil paintings depicting Vietnamese landscape with many topics, from mountainous to countryside, coastal areas, streets, houses. , rice fields, garden … These are very familiar landscape, typical of Vietnam. This will also help the Algerian public to understand more about the country and people of Vietnam, and to further strengthen the relationship between Vietnam and Algeria as well as between the two peoples. 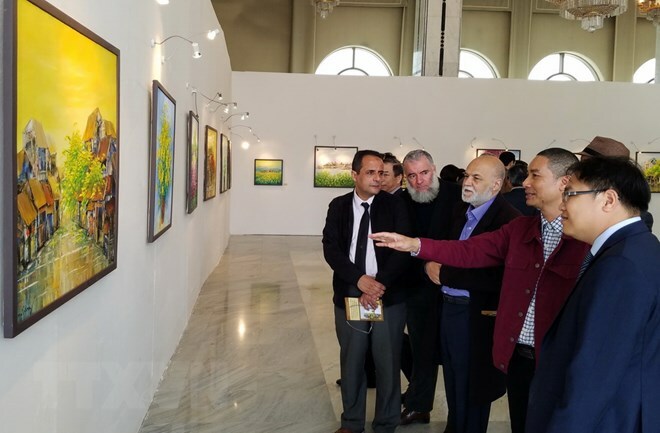 “In the framework of cooperation, exchange and cultural exchanges between Vietnam and Algeria, I was invited by the Vietnamese Embassy in Algeria to showcase Vietnam’s paintings,” said Nguyen Minh Son. As well as strengthening cultural exchanges between the two countries, I would like to pass on my own paintings, Algerians want to learn about culture, love art can understand more about the culture of Vietnam ” .